Hailed by Rolling Stone as one of the "100 Greatest Voices of All Time", Eric Burdon has been a commanding presence in the musical landscape both as front man for The Animals and WAR and in with his prolific solo career. The Cincinnati trio of Craig Fox, Patrick Keeler (The Raconteurs) and "Little Jack" Lawrence (The Raconteurs, Dead Weather, Blanche) have always cited The Animals as one of The Greenhornes’ biggest influences. After playing with Brendan Benson at SXSW, Burdon teamed up with Benson - as producer - and The Greenhornes - as his band - and hunkered down at Nashville’s "Welcome to 1979" studio for a day and a half of writing and recording. Bringing the two parties together was a natural fit, an inspired idea and the resulting eponymous 4-track EP some of the freshest, most vibrant rock n’roll ever committed to vinyl. 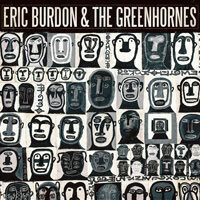 Skriv inn din e-postadresse for Eric Burdon & The Greenhornes relaterte nyheter og oppdateringer.